First Samuel 17 contains one of the most exciting stories in the Bible. The narrative of David and Goliath is more than a tale of human courage; it also tells us that even as a boy, David had a heart for God and unwavering faith in Him. David’s heroic encounter with Goliath made him the idol of the nation. His victory over the giant was a triumph of faith. In Hebrews 11, David is mentioned as one of those “who through faith subdued kingdoms ... stopped the mouth of lions ... became valiant in battle” (11:33-34 NKJV). Previous experience as a shepherd had prepared him for his victorious public appearance. His skill with a sling, his encounter with the lion and the bear, his absence of fear in the presence of a foe who had already made a coward of a king (1 Sam. 17:11), and above all the power of the Spirit of God which he possessed, resulted in a victory which made him a national hero. David boasted to the arrogant giant, “This day the LORD will deliver you into my hand” (1 Sam. 17:46). Goliath, the giant of Gath, is a picture of Satan, the prince of this world, who has the power of death. He reminds us of the arch-enemy of God and man, the devil seeking to terrify and capture God’s people. His enormous size (almost 10 feet tall) and his heavy bronze armor symbolize Satan’s threatening power. His haughty challenge reminds us of the roaring lion who goes about “seeking whom he may devour” (1 Pet. 5:8). His defiant language, and his terrorizing of God’s people find easy application to the devil and his power. When Saul and all the Israelites heard the giant, they were “dismayed and greatly afraid” (17:11). The terrible giant of Gath menaced Israel’s army for 40 days (17:16). In Scripture the number 40 is associated with testing. This period served to reveal the powerlessness of a people who were no longer subject to the Lord, and had rejected Him (8:7). Israel was at war with the Philistines, their perennial enemy. The armies were stationed on two mountains with a valley in between. Every day Goliath challenged the Israelites to send a man to fight him. But after 40 days no Israelite had come forward. In those days, it was possible to decide the outcome of a battle on the basis of this kind of contest. There was no Israelite who was a match for Goliath. Humanly speaking, it was an impossible situation. 1. His obedience to his father: “David rose early in the morning … and went as Jesse had commanded him … to the camp as the army was going out to the fight and shouting for the battle” (17:20). David was eager to obey his father’s command, without delay, like our blessed Lord who came to do the will of the Father and said, “I always do those things that please Him” (Jn. 8:29). 2. His mission to his brothers: David’s father sent him on a mission to his brothers who were serving in the army. This reminds us of Joseph who was also sent by his father Jacob to seek the welfare of his brothers (Gen. 37:14). Both Joseph and David picture Christ, who was sent by the Father into the world to seek and save the lost. 4. His brothers’ misunderstanding: David was misunderstood and wrongly accused by his brothers. He was put down by his oldest brother Eliab who questioned his reason for coming. Eliab accused David of pride and insolence. David’s answer to his cruel taunt was, “What have I done now? Is there not a cause?” (17:29). David here is a type of Christ “who when He was reviled, did not revile in return” (1 Pet. 2:23). David’s question, “What have I done?” is analogous to Christ’s question in response to a much stronger provocation, “Why do you strike Me?” (Jn. 18:23). Just as David was not appreciated by his brothers, so our Lord was maltreated by His own: “He came to His own, and His own did not receive Him” (Jn. 1:11). And if the incarnate Son of God was not appreciated, His servants should not expect to be. The man of God must be prepared to be misinterpreted and to stand alone. When Saul heard that David would fight with the Philistine, he tried to dissuade him saying sarcastically, “You are only a boy.” But David and Saul were not on the same wave length. David was not thinking of going in his own strength. He had received his training in the school of God. There, in the solitude of Bethlehem’s fields, away from the crowds, while keeping his father’s sheep, he killed a lion and a bear as they sought to take lambs out of the flock (17:34-35). 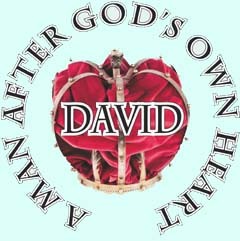 David attributed his victory to God. Since David had rescued the lamb with God’s help, he saw no difficulty in delivering Israel, God’s sheep, with God’s help. There are two spiritual lessons here. First, God teaches and trains His servant in secret so that he might serve Him in public. We can only get the victory if we sufficiently cultivate the “secret place of the Most High” (Ps. 91:1). Our communion with God in private is the source of our strength. Second, when we face danger in our lives, recalling God’s help with past victories will motivate us and boost our ability to be delivered from the present danger. At first Saul told David, “You cannot go and fight with the Philistine.” But after hearing the story of the lion and the bear, he said, “Go, and the LORD be with you!” (17:37). Saul gave David his own armor, but David could not walk in it. So, armed only with his sling, David and God went out to fight the Philistine. David chose five smooth stones from the brook and put them in a shepherd’s bag (17:40). Some people think that David chose five stones so that if he missed on his first shot, he could sling the other stones. They think that the lesson for us is that we should always have a reserve. But David was sure God would direct the first stone to the giant’s forehead. I think the reason he took five stones was because Goliath had four sons: “These four were born to the giant in Gath, and fell by the hand of David” (2 Sam. 21:22). They were part of the Philistine army. David knew that when he slew Goliath, the four sons would seek revenge. God sometimes uses small things to achieve His purposes. The same God who used Moses’ rod, Gideon’s pitchers and Paul’s chains also used David’s sling, and only one stone. “When the Philistine … saw David, he disdained him … And the Philistine cursed David by his gods” (17:42-43). But all Goliath’s mockery could not shake David’s faith in God. He said to the Philistine, “You come to me with a sword, with a spear, and with a javelin. But I come to you in the name of the LORDof hosts, the God of the armies of Israel, whom you have defied. This day the LORD will deliver you into my hand, and I will strike you and take your head from you … that all the earth may know that there is a God in Israel. Then all this assembly shall know that the LORD does not save with sword and spear; for the battle is the LORD’s, and He will give you into our hands” (17:45-47). This statement shows David’s unwavering faith. David fought the giant “in the name of the LORD.” And Proverbs 10:18 tells us that “the name of the LORD is a strong tower; the righteous run to it and are safe.” David did not volunteer to fight the giant because his people were being humiliated, but because Goliath was defying the living God.